Sprint prides itself on being the “first and only 4G network” in the nation. However, it is currently only in select cities. 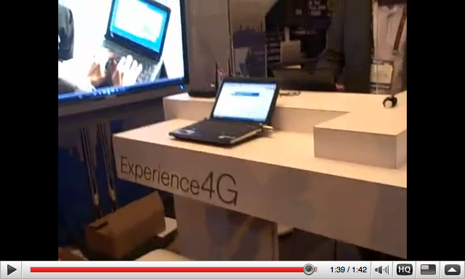 At CES, Sprint had a chance to show off the 4G data network. The company demoed it by having us play Xbox 360 over its 4G network… and it was really fast. One of the great Sprint reps was nice enough to explain and demo the 4G network for us. Check out the video after the jump.